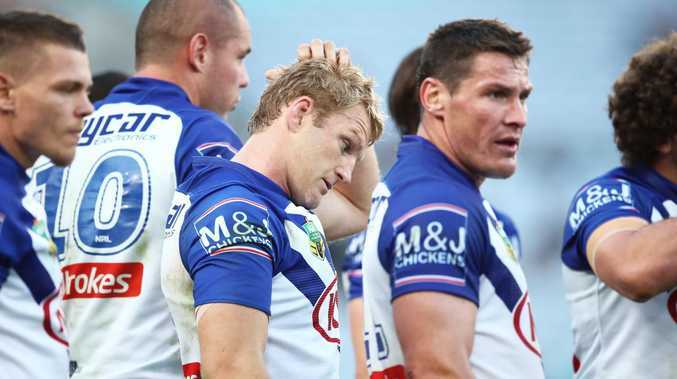 THE NRL will launch a new salary cap strategy to prevent back-ended contracts from crushing clubs and skewing the competition. The clubs and NRL came to an agreement at a meeting in Sydney on Wednesday to implement rules around the structuring of player contracts. 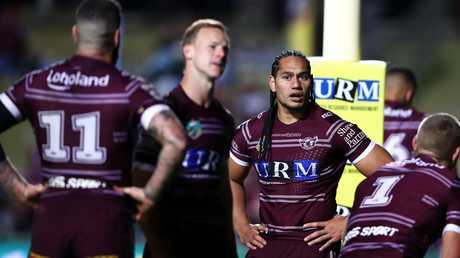 A raft of back-ended contracts in recent years has crushed clubs such as Manly and Canterbury and put tremendous pressure on salary caps. Back-ended contracts involve clubs paying players below market value early in the deal before exponentially increasing their payments late in the contract to make up the difference. The ploy allows clubs to stack their teams with quality players for short periods of time to launch an all-out premiership assault, but can backfire when there are too many players on big money later on. NRL chief executive Todd Greenberg said the days of clubs paying a player $200,000 one year and $600,000 the next were over. "Historically we've left it up to clubs to manage their salary cap, but there is a clear appetite from the clubs for us to be putting some rules in place," he said. "Effectively we will put rules in place to stop back-ended contracts. "It's become obvious there is a very small number, albeit problematic, where clubs have got themselves in trouble by putting back-ended contracts into play. That has hurt several clubs. "In really broad terms what we're not going to allow is a contract to come on the table for $200,000 in the first year and $600,000 in the second year. "A player can't be worth one amount then a significant amount the next year." The clubs also agreed to investigate the idea of a player-transfer window, much like the AFL. At present, NRL players can immediately switch clubs up until June 30 of a season and can sign with rival clubs more than a year before their current deal ends. "At the moment the game allows movement 12 months of the year," Greenberg said. "We think there is an opportunity to look at that in a more condensed window. "We tested that with the clubs and there is a strong appetite from the clubs for us to look at that." A transfer window could be implemented for the 2020 season while back-ended contract rules are likely to be introduced next year following consultation with the players' association.